Bollywood actress Amy Jackson is set to make her U.S. debut in the highly popular American superhero series “Supergirl” as another superhero called Saturn Girl A.K.A. Imra Ardeen. According Deadline, the 25-year-old actress will be playing a recurring role, lending Supergirl – played by Melissa Benoist – a helping hand with her telekinetic ability. 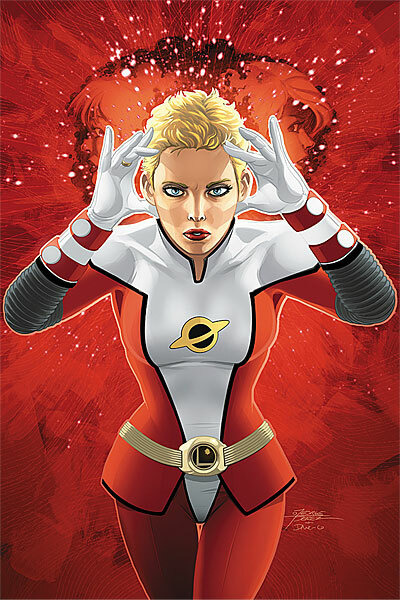 In the comics, Saturn Girl is one of the founding members of the Legion of Super-Heroes in the 30th and 31st centuries, tied to Superboy. She was also the first female character to lead a super-team in comic book history. “Supergirl” will premiere its third season on Monday, 9 October 2017 at on the CW.